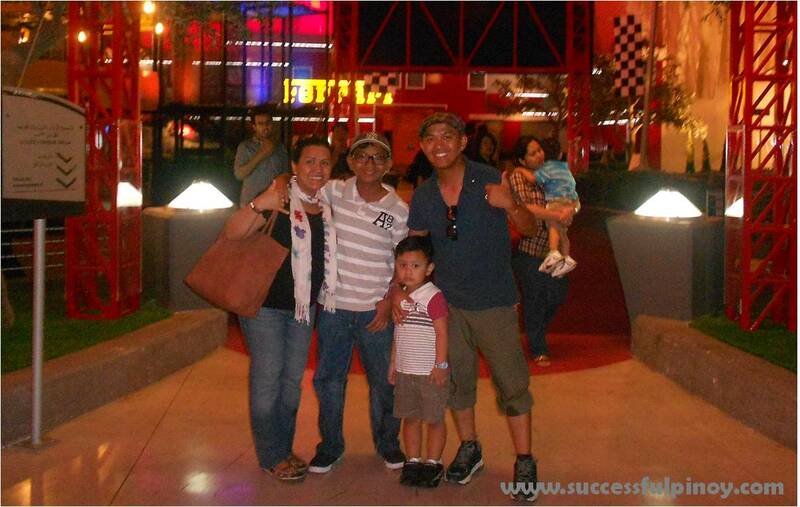 Going to theme parks like Disneyland or Enchanted Kingdom somehow might free up some of our stresses in life. Experiencing the exhilarating attractions and rides, you will definitely feel the adrenaline rush. The happiness that you will get really compensates the money you spent for the entertainment. But you can get most of out of your money when visiting them. You can see here how. 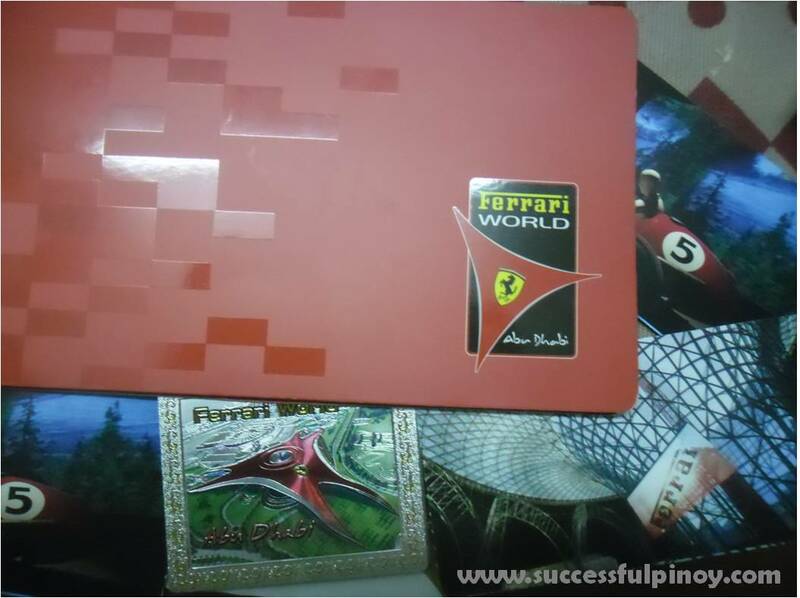 On June 3, 2012, my family went to Yas Island in Abu Dhabi to visit the Ferrari World. It is a theme park inspired with Italian way of life and filled with Ferrari racing cars. It also the world’s largest indoor theme park. You will see a glimpse of the Italian culture and the history of Ferrari. 1. Plan your visit. Some of us goes to theme parks because we simply feel like going to. Or sometimes out of peer pressure, we spontaneously decide to get on the road and visit the place. But in anything that we do, it will be an advantage if we plan our visit. Using the vast information from the internet, we learned that carrying along your Emirates ID will give an entrance discount of 60 AED each. By researching about the theme park and planning your visit, you will save a lot of hassle and definitely some money along the way. 2. Visit the Park Early. When we visited the Ferrari World, it is almost 3 pm. We learned that the park closes at 8 pm. It came to us that in order to maximize the money to see the fascinating attractions, we need to arrive early. Visiting the park early avoid the rush of going to one attraction to the other and makes you visit more enjoyable. 3. Ride the Best Attraction First. Prioritize to go on the most exciting attraction in the park. You will save a lot of time doing this because you will be expecting a long queue. After all, that is the top reason why you visit the theme park in the first place. The finest attraction in Ferrari World is the Formula Rossa. 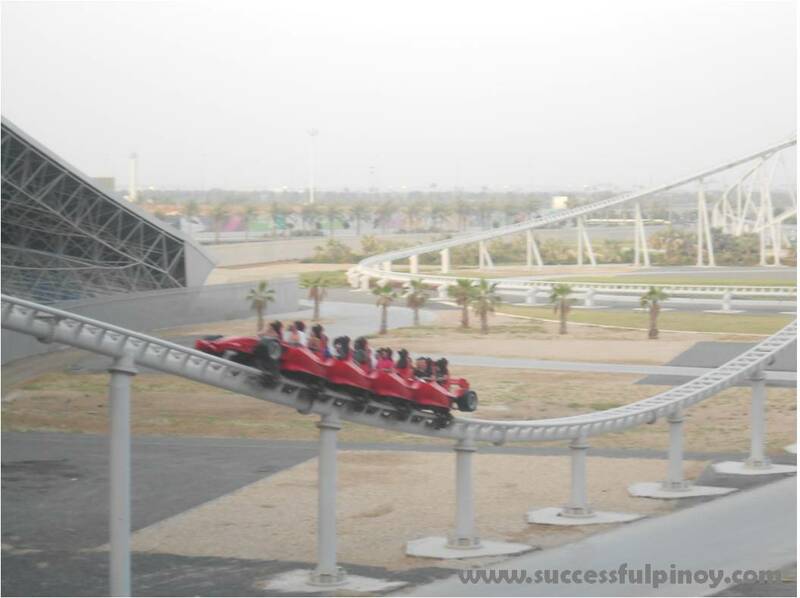 It is the fastest roller coaster in the world because it accelerates up to 240 kph in 4 secs. You will really want to get back and ride it again. 4. Bring your camera. Ensure that you bring your camera with you whenever you visits theme parks. Through your photos, memories come alive when you look back and reminisce your life’s journey in the future. Aside from this, you will have a great deal of savings by just bringing your camera and taking your own photos. You will learn that on site photographs are very expensive. These normally range from 100 AED – 250 AED. You can capture your memorable experience in the park without spending these amounts for a photograph. 5. Buy Reasonable Souvenir Items. One of the must do activities inside a theme park is buying your souvenir items. For some, this is the proof that you visit the park and for others, it is the best way to share with friends the feeling of being there. The best way to make most out of your money for souvenir items is to acquire practical souvenir items that you can use. Depending on your taste, there are a lot of items that are cheap but practical souvenirs available. It is everybody’s dream to visit the best theme parks in the world. Plan ahead and get the most out of it. The most important things are to have fun and enjoy the ride. Do you know other ways in getting most out of your money in theme parks? Share your thoughts and meet us in the comments. Thank you Estella for appreciating. for the great data you could have here on this post. Hi, thanks for the appreciation. Keep visiting the site. Hi, Thanks for the comment. Hope to see you back soon. Keep visiting the site. Thanks.